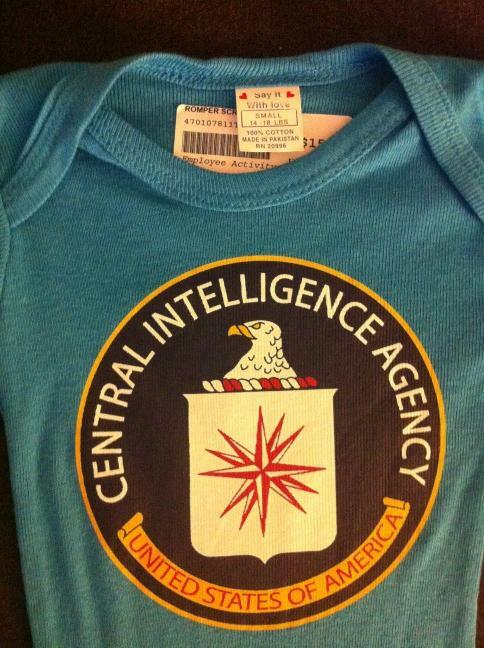 The Washington Post went shopping at various government agency gift shops, and all I got is this CIA Onesie made in one of the Agency's growth markets: Pakistan. 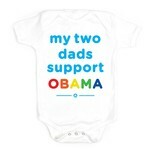 Kind of has a Circle of Life-level warm fuzziness to it, doesn't it? The CIA gift shop is, alas, not open to the public. There is also a teddy bear with a black leather vest and a DEA logo embroidered to its chest, which seems like a prop in a nature vs. nurture experiment for kinkiness. Have fun with that one.